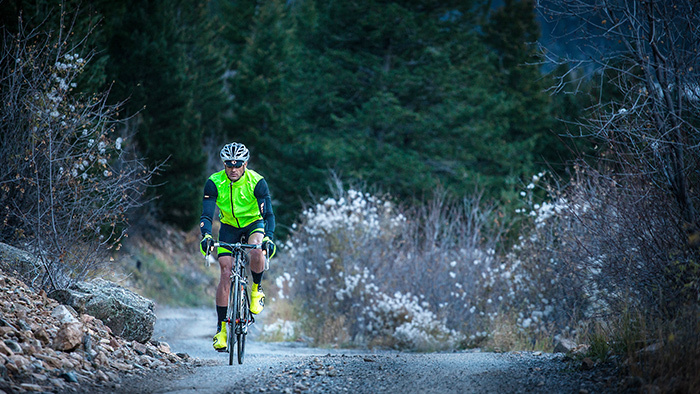 Competitive cyclists often seek new ways to improve their performance. While a variety of training techniques can boost your cycling power and speed, block training is one of the most effective tools you have at your disposal. Block training consists of very hard workouts for two or three consecutive days followed by an equal amount of recovery (days off or active recovery rides). Block training works by producing a greater overload on your cardiovascular and musculoskeletal systems than is possible with many other forms of training. This facilitates the physiological adaptation process that leads to improved performance. There are two keys to making block training successful. First, while it can be very effective at facilitating performance improvement, block training can be equally effective at causing fatigue. Therefore, you must provide your body with adequate rest after the training block. For example, you can do a four-day training block that consists of lactate threshold intervals (Day 1), VO2 max intervals (Day 2), a day off (Day 3) and an easy recovery ride (Day 4). By day five you should be fully recovered. If not, you would need to take an additional day of rest before you resume normal training. Second, you should create training blocks that correspond to the current stage of your periodized training regimen. For example, if you are in the endurance phase, your primary training objective is to increase aerobic endurance (the body’s ability to use oxygen to produce energy for the muscles over an extended period) and muscular endurance (the ability to pedal relatively big gears, at a moderate cadence for an extended period). An endurance block could include two long rides on back-to-back days followed by two to three days of rest and active recovery. It could also consist of two hill-climb rides on consecutive days with two to three days of recovery. Aerobic capacity, which is the maximum amount of oxygen the body can consume during high intensity exercise. Neuromuscular power, which is the ability to pedal a very big gear at a very high cadence for a short time. The four-day training block described at the beginning of this article is a good example of an intensity block that can boost lactate threshold heart rate and improve FTP. You can improve your neuromuscular power with a training block that includes two days of long (one minute) and short (20 seconds) sprint intervals followed by a recovery ride and a day off. Likewise, you can improve your aerobic capacity with a four-day training block that includes VO2 max intervals (Day 1), 30-30s (30 seconds hard, 30 seconds recovery repeated 10 to 20 times; Day 2), a day off (Day 3) and an easy recovery ride (Day 4). Finally, you can incorporate racing into the block training process, which is perhaps the most enjoyable way to perform a training block. For instance, you could compete in a criterium on Saturday and a road race on Sunday followed by a day off and an easy recovery ride. You could also participate in a time trial event on one day followed by a lactate threshold interval workout the next day to create a block of high-intensity training. Of course, you would follow this up with two to three days of easy riding and recovery. A stage race is another example of block training. If you participate in a multiday event that has a time trial, criterium and road race over a period of two or three days, you are performing block training at the highest level. Just make sure you provide for adequate recovery after the event.